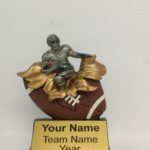 SKU: Encore FF Trophy. Category: Fantasy Football Trophies. 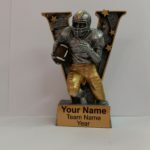 Congratulate the winner of your Fantasy Team with the Encore Fantasy Football Trophy. 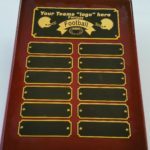 Your trophy will come complete with personalized, engraved name plate. 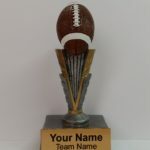 The Encore trophy measures 3 inches wide and 6 inches tall.